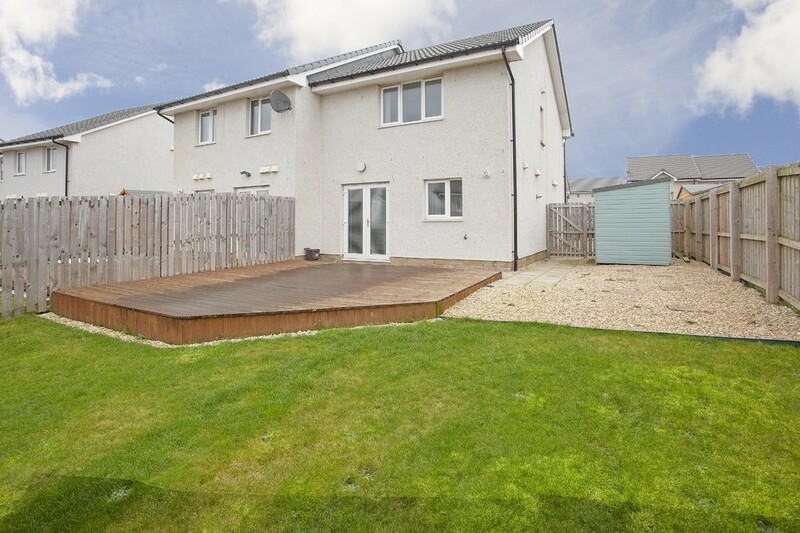 A fantastic opportunity to purchase this immaculately maintained 3 BEDROOM NEW BUILD SEMI DETACHED VILLA situated in the highly desirable town of Arbroath. This immaculately maintained modern property would make a perfect family home and it is in walk in condition. Split over two levels the attractive property comprises: entrance hall, bright and spacious lounge, generous sized kitchen/diner with copious storage space and W.C./cloakroom on the ground floor level together with two double bedrooms, one single bedroom and a family bathroom on the upper level. There is gas central heating and double glazing throughout. To the front the property benefits from having a mono blocked driveway large enough for two cars together with an area of garden ground which is mainly laid to lawn with attractive gravel borders. 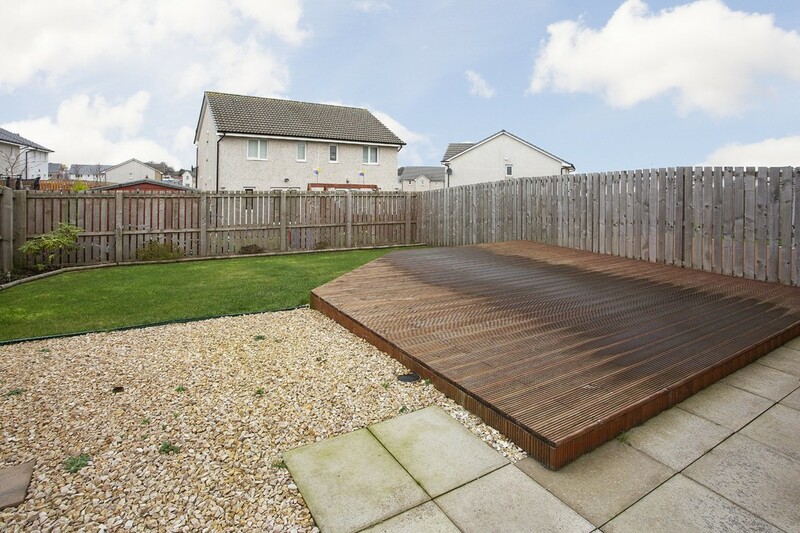 To the rear the property benefits from having a large area of decking which is perfect for relaxing and socialising on in the warmer summer months together with an area of garden grounds which is mainly laid to lawn. 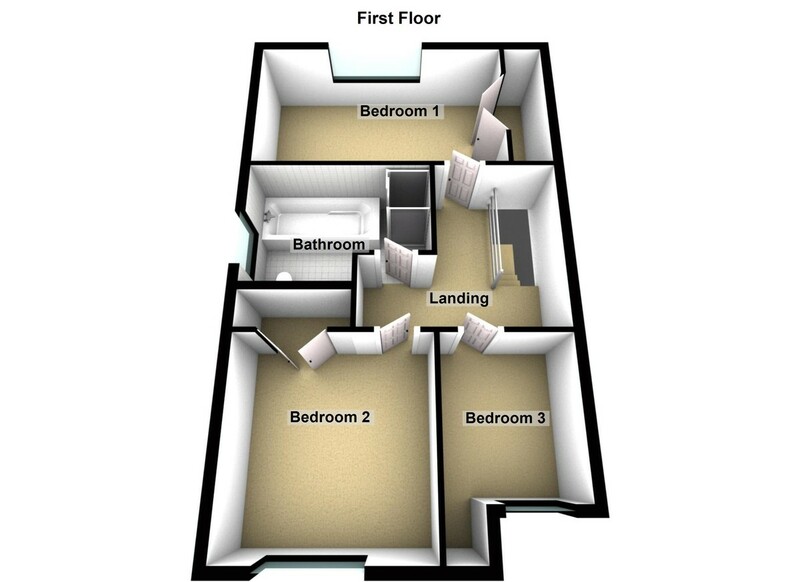 EPC RATING C.
Early viewings are highly recommended as this property is sure to be popular. 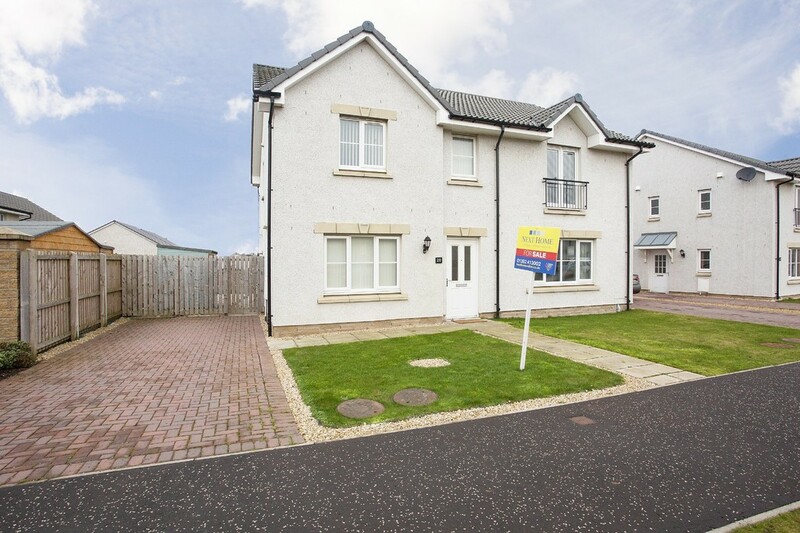 AREA The property is situated in the sought after town of Arbroath. Arbroath is the largest town in the council area of Angus together with being one of the largest fishing ports in Scotland and the home of the Arbroath smokie. The town offers a range of shops, services and recreational facilities while major superstores and other amenities are found within the town. There are excellent transport links nearby via the rail and bus stations while the nearby A92 offers an excellent transport link to the cities of Dundee and Aberdeen. ENTRANCE HALL Entered via a two pane glazed door, the entrance hall is bright and welcoming and gives access to the lounge. LOUNGE 19' 11" x 11' 8" (6.07m x 3.56m) A bright and spacious public room with window to the front. Ample amount of space for freestanding furniture. Carpet. Radiator. Built in cupboard which is ideal for storage. Cornicing to the ceiling. Access to the carpeted staircase. KITCHEN/DINER 15' 8" x 8' 0" (4.78m x 2.44m) Fitted with a range of modern, high gloss finish wall and base units with contrasting work surfaces and matching up stands. Integrated four ring gas hob with oven/beneath and extractor over. Stainless steel sink and drainer unit with mixed tap over. Integrated dishwasher also included. Large built in storage cupboard. French doors to the rear provide access to the rear garden and lead thereon to the large area of decking. W.C./CLOAKROOM 6' 6" x 3' 5" (1.98m x 1.04m) Fitted with a W.C. and pedestal hand wash basin. Neutral décor. LANDING Accessed via a carpeted staircase, the landing provides access to all accommodation on the upper level. BEDROOM 1 12' 2" x 8' 1" (3.71m x 2.46m) A generous sized double bedroom with window to the rear. Ample space for a range of freestanding furniture. Carpet. Radiator. Large fitted wardrobe with hanging rail and shelving. BEDROOM 2 10' 6" x 8' 1" (3.2m x 2.46m) Another double bedroom with window to the front. Built in wardrobe. Carpet. Radiator. 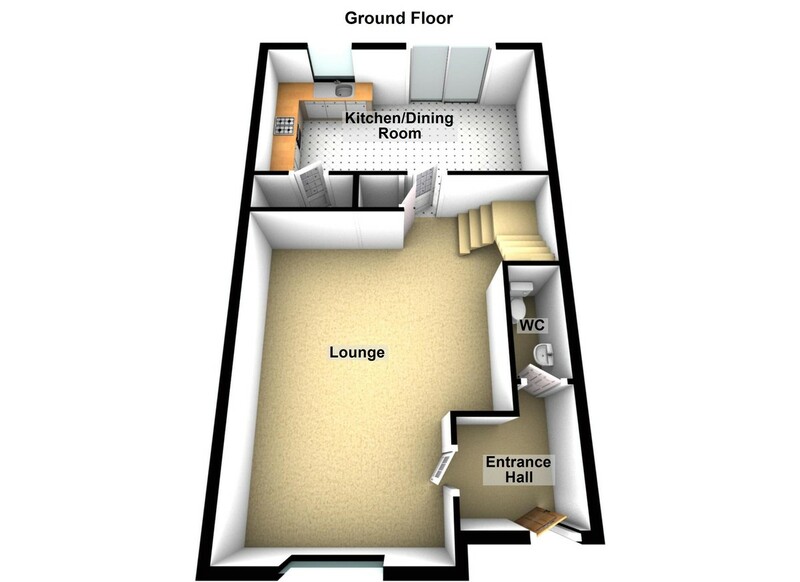 BEDROOM 3 9' 8" x 7' 3" (2.95m x 2.21m) A versatile room currently utilised as a single bedroom but alternatively could be used as an office if required. Window to the front. Recessed alcove fitted with hanging rails and shelving. Carpet. Radiator. BATHROOM 8' 6" x 6' 8" (2.59m x 2.03m) A good sized family bathroom with a three piece white suite comprising: W.C., pedestal hand wash basin and bath together with a shower cubicle. Tiling to the splash back areas. EXTERNAL To the front the property benefits from having a generous sized mono block paved driveway together with an area of garden ground which is laid to lawn with attractive gravel borders. To the rear there is a larger area of garden grounds, also laid to lawn which is enclosed within timber fencing together with a generous sized area of timber decking which would be ideal for relaxation and socialising during the warmer summer months.